Liquid mold release, spray applied. Can also be spray over polyester resins and gelcoats to prevent tackiness, then cleaned off. See product bulletin above for application instructions. 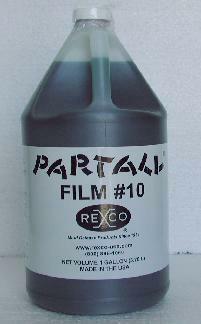 A wax-based compound, packaged in paste form to be applied to mold surfaces prior to spraying PVA#10 Film. 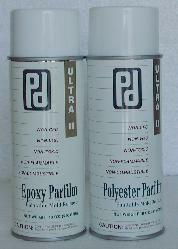 Can also be used alone for the release of epoxies, polyesters and urethane foams. 104 Wax 's primary use is specific for applications that need a release to maintain good properties when heat is a factor. Blend of waxes specially formulated to provide the maximum number of releases per application. Very useful for tooling and new molds. 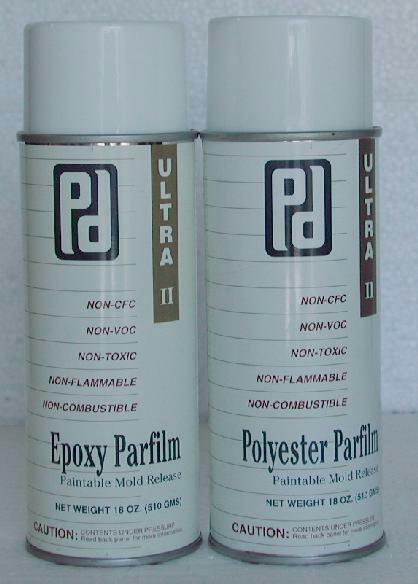 Compatible with for releasing polyester and epoxy resins. A concentrated wax compound formulated for high gloss and rub-out qualities. Blended to achieve easy release with maximum number of cycles. Paintable mold releases. Sold in 16oz aerosol cans. 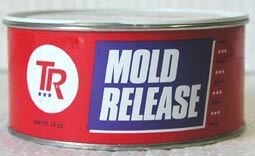 Designed for use as a mold release on flexible urethane molds for removing polyester and epoxy resins, but can work well as a spray on mold release for other non-porous surfaces needing to release polyester and epoxy resins. Provides superior release with minumum build-up on urethane rubber mold surfaces for casting urethane elastomers, epoxy, polyester and rubber compounds. 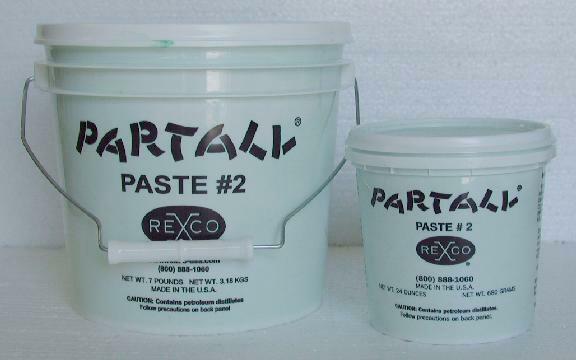 Specially formulated as a release agent for molded urethanes and similiar materials. Provides fast, easy removal and multiple releases per application. Used primarily on urethane rubber molds.